The UCL Institute for Risk and Disaster Reduction held an evening event on Thursday 1st November 2018 to celebrate the launch of its newest transdisciplinary venture: the UCL IRDR Centre for Digital Public Health in Emergencies (dPHE). 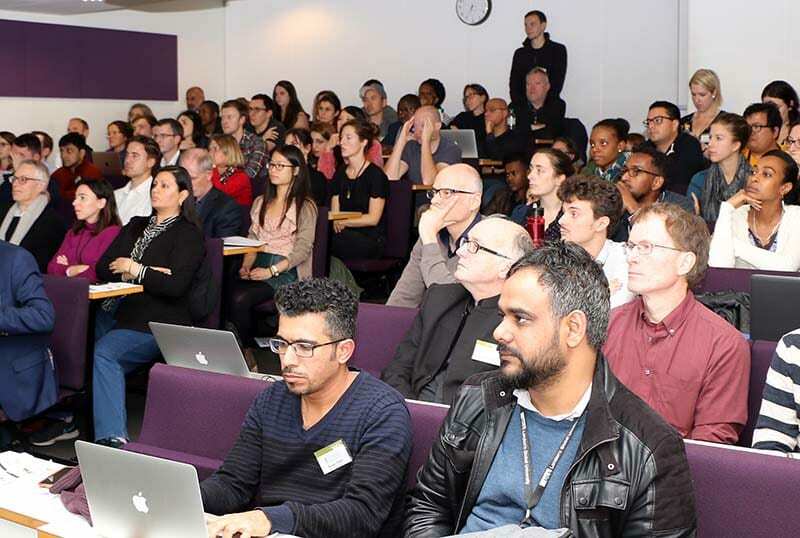 The event was attended by more than 120 people, including UCL senior managements, academics, researchers, students, industry specialists, entrepreneurs and policymakers from across a broad range of sectors and specialisms. The evening started with a welcome address by Professor David Price (UCL Vice Provost for Research) outlining UCL’s Grand Challenges concept of bringing together academic expertise across disciplines to address the issues facing the society and the planet. Professor Peter Sammonds (Director of the UCL Institute for Risk and Disaster Reduction) gave an overview of the IRDR vision and highlighted how the new Centre forms a vital part of the UCL Faculty for Maths and Physical Sciences strategic 5-year development plan. The Keynote Speaker Professor Virginia Murray (Head of Global Disaster Risk Reduction, Public Health England) kicked off the evening talks with an eye-opening keynote on global response to disasters and emergencies and the potential for science and digital health technologies to contribute. She illustrated her talk with reference to the United Nations Office for Disaster Risk Reduction (UNISDR) Sendai Framework for Disaster Risk Reduction (2015-2030); a tool developed to structure response and protect nations when disasters occur, and stressed the importance of improving accessibility and availability to key data. The evening continued with Dr. Patty Kostkova (Director of the UCL IRDR Centre for Digital Public Health in Emergencies) outlining the history and vision of the Centre. She emphasised the Centre’s central mission to break down the limits of current health care systems’ capacity and communities’ resilience to improving health and wellbeing at national and international levels. A key part of the Centre’s research agenda will be to explore how use of digital technologies and improving access to data can build the ‘bridge’ between efficient emergency response, emergency activities and improved healthcare systems capacity and routine surveillance. The Centre will also seek to change the current dynamic of knowledge transfer and exchange between academia and policy, directly responding to the main global public health challenges identified by policy but also proactively bringing challenges to policy agendas. With representation spanning five UCL faculties, involving multiple disciplines and chaired by Professor Ibrahim Abubakar (Director of the UCL Institute for Global Health, Faculty of Population Health Sciences), a panel then discussed the challenges faced by the global public health and potential ways in which digital technologies and community engagement could seek to address them. Professor Julio Davila (UCL Development Planning Unit, Faculty of the Built Environment) proposed that key challenges stem from the world’s continuing ambition to urbanise and from rapid increases in urban sprawl on a global level. He argued that improving infrastructure for capacity building is therefore crucial to efficient global public health response to disasters and emergencies. 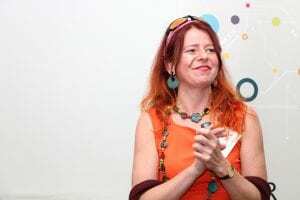 Professor Kate Jones (UCL Centre for Biodiversity and Environmental Research, Faculty of Life Sciences) stressed that we need to better realise the state of our global ecosystems and the decreasing environmental diversity. Professor Jones proposed that digital technologies incorporating real-time prediction and big data would enable us to more fully understand links between ecosystem decline and human health. Major challenges surrounding data sharing, ownership and translation between sectors, organisations and disciplines were raised as significant barriers to more efficient ways of working by Professor Muki Haklay (UCL Extreme Citizen Science, Faculty of Social and Historical Sciences) and Dr. Patty Kostkova (UCL IRDR dPHE) stressing the opportunity to enhance big data-driven predictive disease analytics with routine surveillance data collected via mobile technology. Professor Haklay posited that citizen science has a large role to play in ensuring provision of digital tools direct to communities to improve data collection and guide usage of data for better public health response. Professor Abubakar brought the panel to a close by stressing that it would be a crime not to exploit opportunities for addressing global public health using innovative digital technologies – especially given their growing global penetration, even in low to middle income countries (LMIC). He highlighted the importance of the IRDR Centre for dPHE’s role in bringing different disciplines and sectors together to address the bigger public health challenges and assess how to effectively drive innovation to global change. The role of human computer interaction science, behavioural science and education were specifically mentioned as being key disciplines in helping global public health to better understand how people interact with digital technologies and addressing how best to encourage uptake in communities. 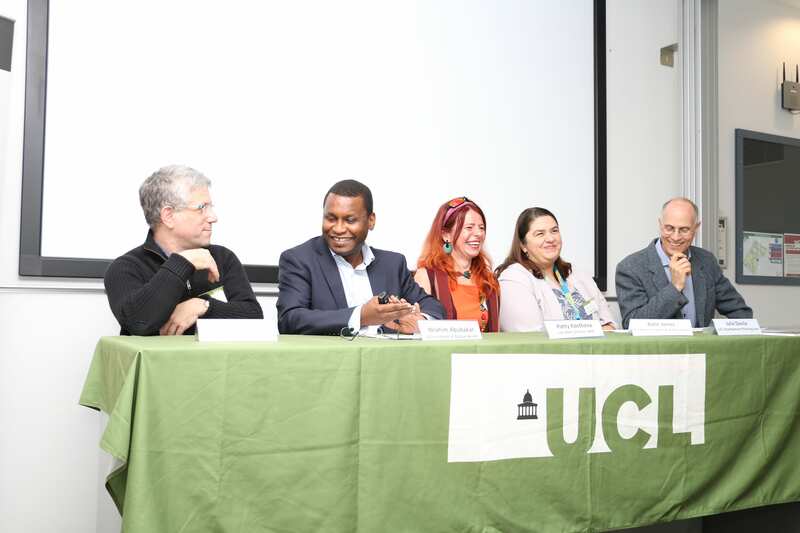 Initiatives expanding dPHE to more UCL Faculties beyond the core five represented at the panel were agreed at the event. Professor David Lomas (UCL Vice Provost for Health) gave the closing address for the event reiterating cross Faculty and the UCL School of Life and Medical Sciences’ (SLMS) support for the new Centre and its importance in maintaining UCL’s role as a leader in improving global public health. 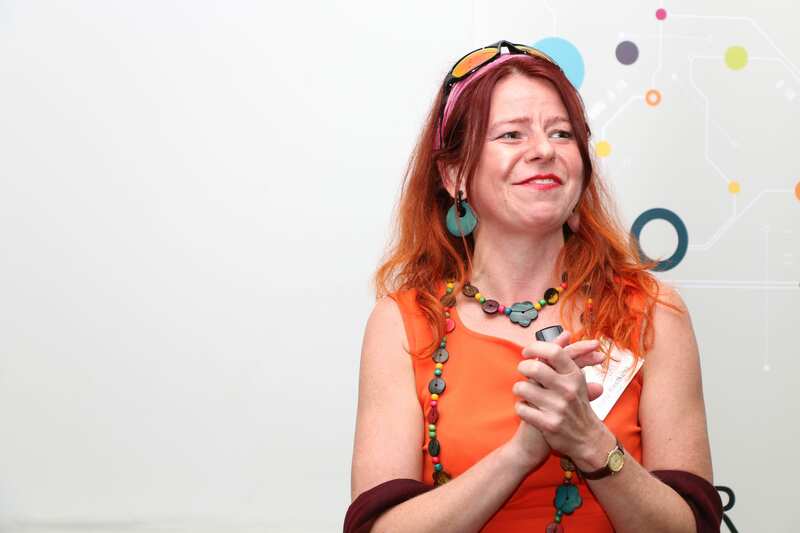 A celebratory drinks and networking event showcasing several of the Centre’s collaborative research projects then took place in the Roberts Building Foyer. Further coverage of the event can be accessed via the dPHE Twitter account @UCL_dPHE or via the hashtag: #dPHELaunch. Recording of the event including the panel discussion will be available to view week beginning Nov 19th. Images with thanks to Dr. Ilan Kelman. The UCL IRDR Centre for Digital Public Health in Emergencies brings together experts from UCL and external stakeholders to lead on interdisciplinary research, training and policy advice to improve global public health through use of digital technologies and data systems. Recent health emergencies – including the SARS, Zika and Ebola outbreaks, and the Haiti and Nepal earthquakes – have unnecessarily taken thousands lives and cost the global economy billions. These events have shown the limits of current health systems’ capacity and communities resilience to respond to emergencies at local, national and international levels. Established in 2018 as part of the UCL Faculty of Maths and Physical Sciences five-year strategic plan, the vision is to develop the dPHE into a renowned and world-leading Centre in digital public health in emergencies to improve global capacity, preparedness and response to health emergencies.